A new managing director with 24 years’ experience in the newspaper industry has been appointed to lead a Newsquest division. Amanda Davison-Young, left, has been chosen as the new MD of Newsquest Hampshire, which publishes regional daily the Southern Daily Echo and weeklies including the Hampshire Chronicle, Romsey Advertiser, Andover Advertiser and Basingstoke Gazette. She was previously a managing director for Johnston Press, leading its East Midlands Newspapers subsidiary which includes the Peterborough Telegraph, until standing down three years ago. At Newsquest Hampshire, Amanda replaces long-standing MD Stewart Dunn who stood down in February after 22 years with the company. She has already taken up the post at the Daily Echo’s headquarters in Test Lane, Redbridge, and her appointment has been announced to readers. Amanda told the Echo: “Of course I love the digital side of our media world, but there’s nothing that can beat the excitement of working with real newspapers. “Working in newspapers means that nothing is impossible to achieve, provided you can bring together a great team and work with your local community. “That’s what it’s all about really – being involved and supporting this city region, and I’m excited at what is ahead for all of us here at the papers in Hampshire. 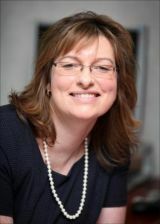 Amanda led JP’s East Midlands Newspapers until stepping down in 2010 amid a shake-up of the publisher’s divisions and was replaced by Richard Parkinson. She also previously worked as managing director at the Bury Free Press and its sister titles. Since leaving Johnston Press, Amanda has run her own business consultancy, Davison-Young Associates Ltd in Peterborough, and worked as commercial director for Archant Herts & Cambs. She has also lectured in business and accounting at University Centre Peterborough and Peterborough Regional College.